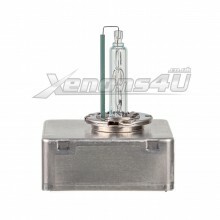 In this category you will find our range of D5S 25W 12V HID Xenon Headlight Replacement bulbs. D5S bulbs are environmentally friendly, because it is made without mercury, additionally it is less energy consuming bulb, because of lower wattage, but despite that brightness is not affected compared to 35W bulbs. We stock genuine Philips D5S 25W Vision HID headlamp bulbs.